Smoothies are super easy and healthy for everyone. 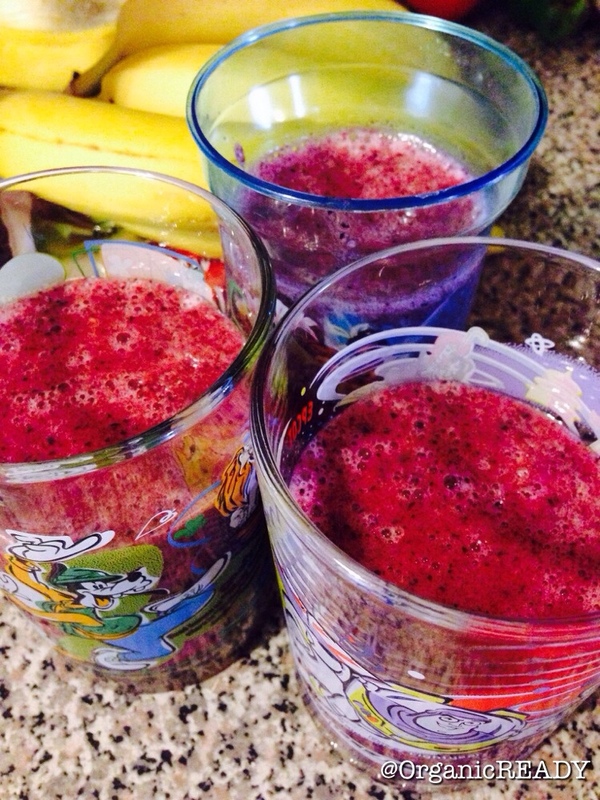 If you have a picky eater at home, smoothies are wonderful for sneaking in your vegetables. Adding just one cup of spinach or kale won’t turn your smoothie green. But the trick behind this is to add raspberries, strawberries, and blueberries. The colors in these berries will hide anything. This made 4 cups so adjust accordingly. Check out this great smoothie recipe from Organic READY. This is a great kids’ snack (and you might just want to make a little extra for yourself!). Thanks, the children just loves them.